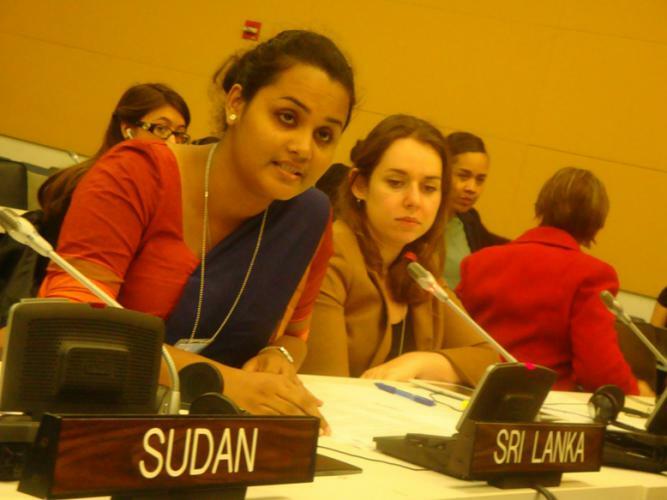 Jayathma Wickramanayake, aged 22, is Sri Lanka’s First ever Youth Delegate to the United Nations. She is a Third year undergraduate in University of Colombo, Faculty of Science following BSc. Biological Science (English Medium) Degree Program. Jayathma received her primary education at Sangamiththa Girl’s School Aluthgama and after passing the grade 5 scholarship exam with flying colours, got the opportunity to attend Visakha Vidyalaya the leading Girl’s College in Sri Lanka. She was a popular all-rounder in School who managed to exhibit her talents in education as well as extra-curricular activities. She showed her leadership qualities as a Junior Prefect, a Senior Prefect, a House Captain, the President of the junior commerce Society, Main announcer of school’s Media Unit and etc. She was awarded two times as the Best Actress of Inter School Drama Competition and the list of awards she achieved during school time extent to various fields like Sports, Media, Essay Writing, Dancing, Singing, Elocution, Lyrics composing and many more. Winning the award for the 1st runner up at the “Emerging Young Leader of Sri Lanka Award 2011” was the turning point in Jayathma’s life. She is the co-founder and the Secretary of Emerging Young Leaders Association, which is a leading youth club under the umbrella of National Youth Services Council. This organization aims on building leadership qualities in the youth of Sri Lanka. They conduct workshops, competitions and awareness programs for young people living in every part of the country encouraging them to take political, business and social leadership and drive forward their communities. Jayathma has been exposed to many National and International Platforms where she could give her fullest contribution in decision makings and drafting policies. Being a stakeholder of the National Youth Policy, being a stakeholder of the Country Partnership Strategy of World Bank Sri Lanka, Being a Stakeholder at “Non-Communicable Disease Prevention National Program” Of the World Health Organization and being a member of the steering committee for the “Resolution on Proactive Measures of Youth Employment in Sri Lanka” along with the Ministry of Youth affairs and Skills development and International Labour Organization are some of them. Moreover in June 2012, she represented Sri Lanka at the Rio +20, United Nations Conference on Sustainable Development in Rio de Janeiro, Brazil as the team lead of youth delegates from Sri Lanka to the UNCSD. Jayathma marked a golden page in Sri Lanka’s history by representing Sri Lanka at the 67th General Assembly of the United Nations, at United Nations headquarters New York. 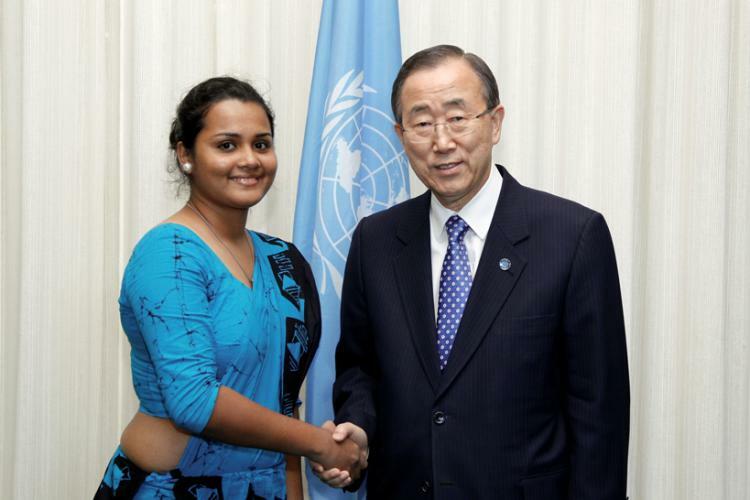 She delivered the National Youth Statement of Sri Lanka at the General Assembly and also received the rare opportunity to meet the Secretary General of the United Nations, Ban-Ki-Moon and discussed about creating partnerships to better strengthen youth development in Sri Lanka. Because of her outstanding performances at the General Assembly, among all the youth delegates, she was selected by the United Nations Department of Economic and Social Affairs, to present the “Secretary General’s Report on Implementation of the World Program of Action on Youth” to the 51st Commission for Social Development on the 11th of February 2013. As a result of her contribution, dedication and Volunteerism towards youth development in the country, Jayathma was recognized by the President of the Democratic Socialist Republic of Sri Lanka as an exemplary young Leader, on the 30th of January 2013.